We offer free quotes, advice and no call out fees.Handley’s Plumbing is fully insured and is a member of the Master Plumbers Association of NSW. We offer prompt, reliable service and are available 7 days. All of our quality work is 100% guaranteed. We are a family owned business and we value our clients. We look forward to building long lasting relationships with our clients not just a quick dollar. We service the entire Sydney Metropolitan. We are located in the St George area with our main clients being located in the Eastern Suburbs and Inner West regions of Sydney. Our staff are OH&S trained and compliant including Work Cover Green Cards. 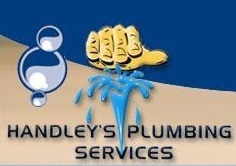 Handley’s Plumbing Services trade’s people are friendly, reliable and honest.